Summer isn’t officially here for another month, but with Memorial Day comes our end of school and the beginning of long, sunny days filled with picnics, vacations, swimming and entertaining. 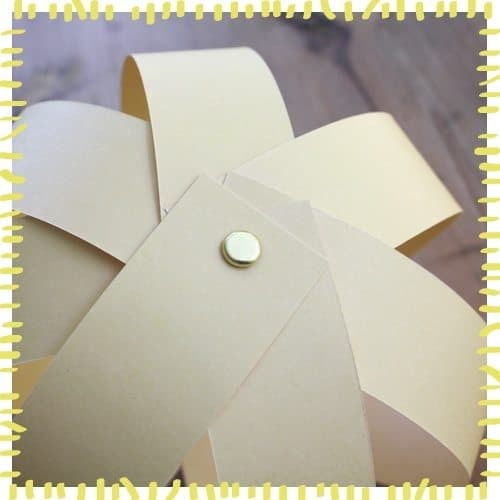 Here’s an easy paper decoration that the kids can make for your next cook-out, baby shower, or cocktail party. Vary the colors to suit any holiday. 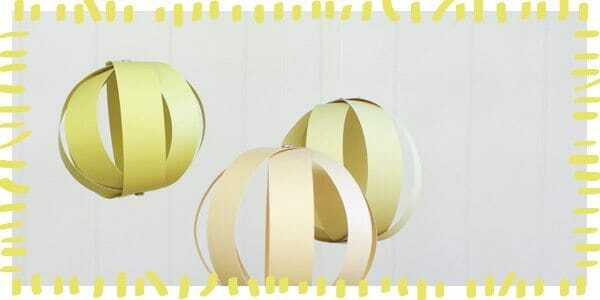 These simple paper globes are made with strips of paper and brass fasteners. For younger kids, you can have all the strips ready to go and let the kids assemble them and older kids can do all of the cutting and punching as well. It’s a great way to keep the kids occupied while you make last-minute party preparations. You can even make these eco-friendly by using junk mail or cereal boxes. 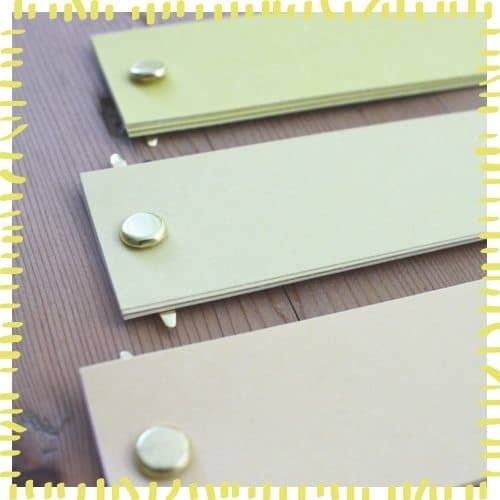 Step #1: Cut strips from card stock in 1 1/2″ widths with varying lengths. Punch holes at both ends. 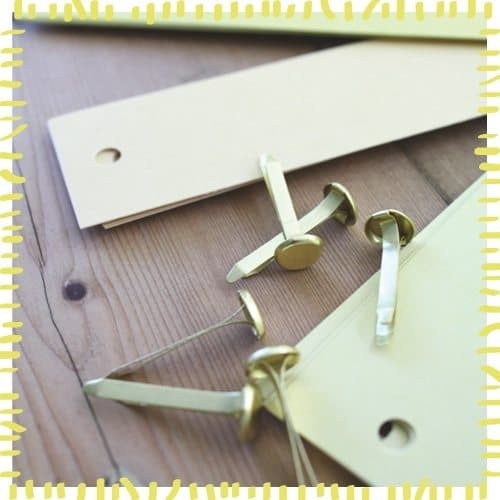 Step #2: Insert the fasteners at either end and bend the prongs back to secure them. Step #3: Fan out the strips of paper to form the globe shape. Hang with monofilament. Here it is again. We can’t get enough. So fun – and easy! Love it ! 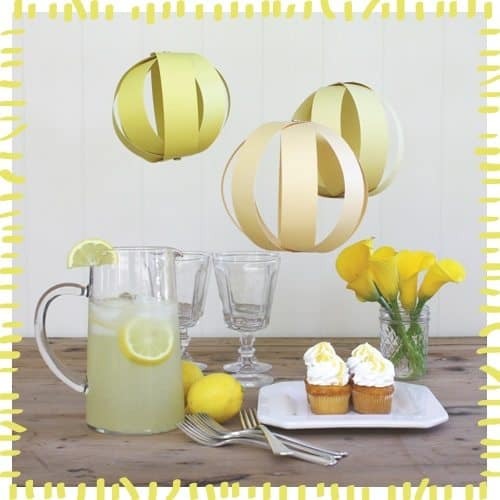 These would look great hanging under the apple tree for an outdoor tea party. This is a simply sweet idea! As always…the simplest truly are the best! Filing it away for a fun use at a party in the future!